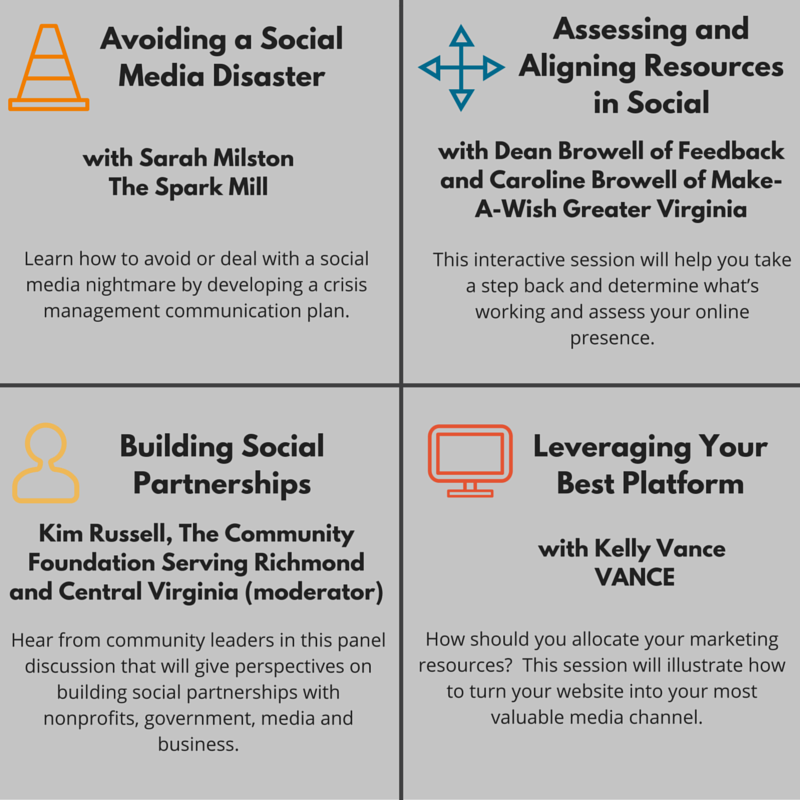 For the fifth year, ConnectVA presents the only day-long social media conference in the region for nonprofits, government and community-based organizations! You will learn best practices, trends, and need-to-know information to connect your organization with social media to drive change. The day will feature field experts, panel discussions and a presentation and workshop from internationally-acclaimed Master Trainer, Beth Kanter, author of the “Networked Nonprofit” books. Networked Nonprofits and the people who lead them are taking advantage of social media’s ability to facilitate and expand their impact by combining an organizational strategy with their professional online personas to connect, build relationships, and establish trust and thought leadership. This way of operating goes beyond simply using tools like Facebook or Twitter and requires a networked mindset where openness and authenticity are essential. This interactive keynote will explore how your organization can embrace the best practices of a “networked nonprofit,” avoiding some of the pitfalls and challenges. This workshop will provide an opportunity for you to apply the ideas shared during the keynote. You likely have many questions about how to make best use of social media to advance your work with limited time and resources. What does it take to become a Networked Nonprofit and implement effective Social Media practices? How do you begin the transformation? Internationally acclaimed Master Trainer and author, Beth Kanter, will help your organization learn how to implement a successful strategy on a limited budget. Based on her popular Networked Nonprofit books, this workshop will help you learn how to develop a social media strategy that fits your capacity to implement and gets results. Set the tone for the rest of the day with this prep course on social media channels and strategy! You will explore the benefits of using each of the major social media networks, how other organizations are marketing with them, and some dos and don’ts of each channel. As a bonus, you will learn more about Pro Bono resources in our community! Learn more here. Learn how to avoid or deal with a social media nightmare by developing a crisis management communication plan. Chocked full of case studies, this session will help you prepare you and your staff for the right mindset when something goes wrong in your organization. This interactive session will help you take a step back and determine what’s working and assess your online presence. From interpreting channel analytics to making effective decisions on what content is truly post-worthy, learn how to optimize to make your institution’s social media life easier and more effective. Collaborating online and offline can amplify your brand, your reach and your organization’s mission. Hear from community leaders in this panel discussion that will give perspectives on building social partnerships with nonprofits, government, media and business. Panelists: Caroline Logan, VA Tourism Corporation; Tabitha Treloar, Richmond SPCA; Jonah Holland, Lewis Ginter Botanical Garden; Kelly Fitzgerald, Patient Services Inc.
How should you allocate your marketing resources? Here, let me Google that for you. Facebook, Twitter and Instagram are great for building community, but too many of us are wasting time and money on platforms that will one day be obsolete. This session will illustrate how to turn your website into your most valuable media channel. Interested in sponsoring the Social Media for Nonprofits Conference? Check out this guide, and e-mail Liz Lungut, ConnectVA Manager, at LLungut@pnerichmond.org. Your conference registration receipt will serve as your ticket for this event. No refunds will be made after April 26, 2016. Registration is transferable and if you are unable to attend you are encouraged to send a colleague to the conference in your place. All cancellation and change requests must be submitted via email to admin@connectva.org. I understand that by submitting registration, I authorize the Partnership for Nonprofit Excellence to copyright and publish all photographs and videos, in print or electronic format, in which I appear or speak taken by or for the Partnership for Nonprofit Excellence. I agree the Partnership for Nonprofit Excellence may use, edit, or reproduce such photographs and videos or share them with others for any purpose related to the promotion of the Partnership for Nonprofit Excellence and its related programs and activities. I release all claims against the Partnership for Nonprofit Excellence and others, with respect to the copyright, publication, or use of such photographs or videos, including any claim for compensation related to their use. If you have questions or concerns please contact Liz Lungut, Manager of ConnectVA for the Partnership for Nonprofit Excellence at LLungut@PNERichmond.org.